Dry Clean, Shoe repairs, Mending, Tailoring clothing Dying, Counter stock material Leather cleaning & Leather dying. Levingers has been in Gauteng for over decades. 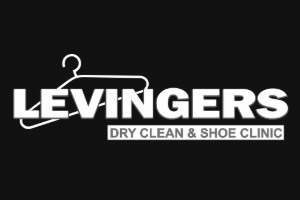 The original Levingers business was a shoe clinic where Peter Levinger operated as a cobbler. For over 40 years Levingers has worked hard to an effective, profitable business model. We offer ongoing training to our franchisees as well as their staff.